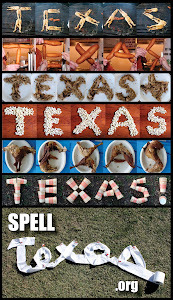 See-Dub: Why We Love Austin: Reasons #743 and #744. Amy's Ice Cream and the Arboretum Cows! ...but teamwork makes it easier! Then comes the fun part: sliding off! We've loved going to Amy's Ice Cream for years, and because the cows are at this shopping center, the kids really like the Arboreturm location. The Arboretum offers some pretty cool window shopping, too! Up next: the Capitol, Co-op, tailgating and THE GAME! I'll have to write Amy's Ice Cream in my book of places to go while in Austin. Are you sure you didn't capture something paranormal by the cows? Have your kids been acting funny since their encounter with the cows?~~~~~You better keep an eye on them.